Atlantis Estates was formed in 2000 and has steadily grown into a leading independent property company. We strive to operate at the very highest standard and this is underlined by our proud membership of the leading industry regulatory bodies for our sector: The Association of Residential Managing Agents (ARMA); The Property Ombudsman (TPOS); and we are regulated by the Royal Institution of Chartered Surveyors (RICS). Atlantis Estates is part of the Atlantis Group, a group of companies whose HQ is based in Reading, Berkshire. Since its inception, the group has enjoyed, consistent growth year-on-year, and it is well renowned as a successful and stable business built on solid foundations. 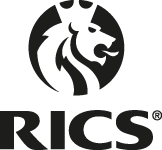 Atlantis are proudly regulated by the Royal Institute of Chartered Surveyors giving you peace of mind that we adhere to globally recognised standards inspiring confidence amongst our clients. We are accredited by the Association of Residential Managing Agents demonstrating to you that we have the right professional experience and are committed to and bound by professional standards. We are proud supporters of the John Sykes Foundation which supports people from all walks of life in areas including education, health, disability, sport, arts and culture, science and any other charitable purpose. Atlantis meets all of the costs of running this organization so 100% of the funds raised are given directly to individuals in need. We’re always on the look out for people to join our winning team. 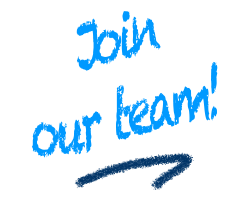 So, if you’re enthusiastic, energetic and have a positive attitude then we want to hear from you. Working for Atlantis is both rewarding and fun and we’re renowned for being highly motivated, innovative and importantly a business which delivers unrivalled service. Check out our careers page here and we look forward to hearing from you.